What I hope to find (and what will get me to spend my money quicker and invest hours upon hours of my own time) when I pick up a book is one that doesn’t sound like 95 out of 100 books that I pick up and read the first few pages of, a voice that grabs my nose and yanks harder than a semi-truck in the middle of I-95. WHEN IN DOUBT, ADD BUTTER is such a book, and it managed this feat admirably from the very first sentence of the very first page. “When I was twelve, a fortune-teller at the Herbert Hoover Junior High School carnival said to me: ‘Gemma Craig, you listen to me. Do not get married. Ever. If you do, you’ll end up cooking for a man who’d rather eat at McDonald’s; doing laundry for a man who sweats like a rabid pig, then criticizes you for not turning his T-shirts right side out; and cleaning the bathroom floor after a man whose aim is so bad, he can’t hit a hole the size of a watermelon–’ ” I could go on, but you get the general idea. This is a book that I’m invested in; where I want to know what happens; and that I can’t wait to get to the ending, because like Beth Harbison, the author, I’m going all in. And then it becomes a mad rush to get to the finish line. For me, this was such a book. The characters and the story line certainly kept my attention, but it was the voice, that voice kept me turning pages as fast as frying butter in a saucepan, and when I reached the end, I felt completely satiated. 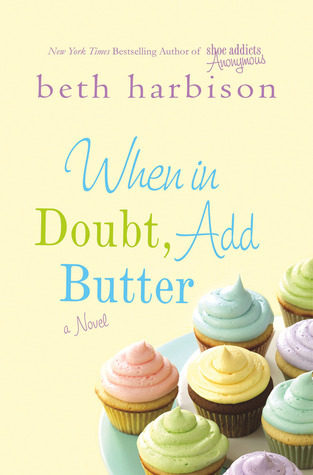 While this was the first Beth Harbison book I read, I’ll certainly keep my eye out for another one with a voice as fulfilling and unique as this one. This entry was posted in Reviews and tagged literary, women's fiction by Robert Downs. Bookmark the permalink. LaCour's Destiny - 1st three chapters in PDF format! Graceful Immortality - 1st chapter in PDF format! Falling Immortality - 1st chapter in PDF format! Falling Immortality - Extra #1 in PDF format! A wedding article first published in The Times West Virginian! Copyright © 2011 & beyond by Robert Downs, all rights reserved. Site design and development by Pixelita Designs.